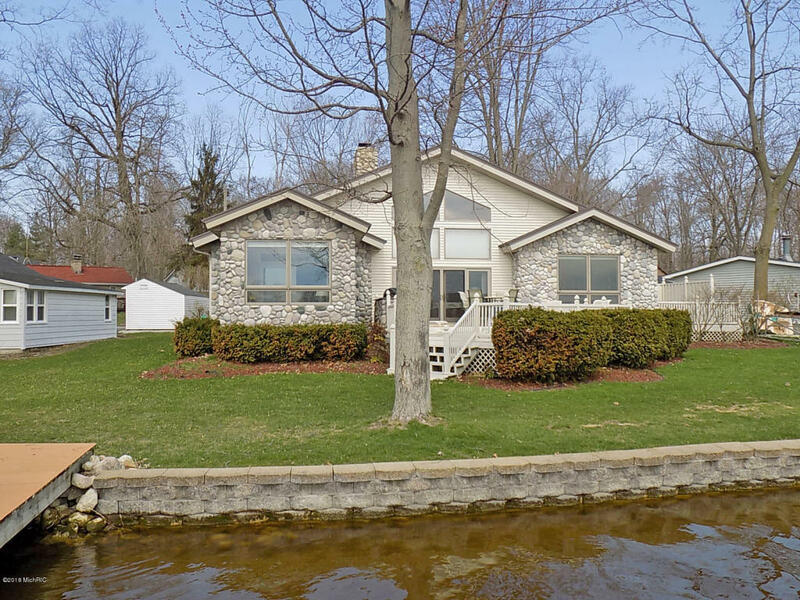 Amazing home on a double lot Morrison Lake and, as a special bonus, your own 2 acre private island in the middle of the lake! Gorgeous views from every room. This home is steel frame and well insulated with a lifetime maintenance free metal roof. You will love the soaring cathedral ceilings, large windows, tall fireplace, spacious master suite with walkout to deck and the large kitchen with solid surface counter tops. Enjoy lake living from the oversize vinyl deck with a 36'' gas grill or the4 season porch with panoramic views. Bonus features are the permanent boat house dock and lift, whole home generator, heated garage with hot and cold water. Get in this one soon!